Broward Health Medical Center is one of the medical centers in South Florida equiped with a mass-casualty team, whcih was activated after the Stoneman shooting. Senate Minority Leader Oscar Braynon wants to create a $10 million program that would reimburse trauma centers for care provided to victims of mass shootings, and Senate President Joe Negron said he will support the effort. Braynon wants to create a fund in the Attorney General’s Office, with money coming from a portion of fees collected from new or renewed concealed-weapons licenses. The program would reimburse trauma centers that treat victims of mass shootings, such as the Feb. 14 attack at Marjory Stoneman Douglas High School in Parkland that left 17 people dead. Braynon, D-Miami Gardens, initially wanted to attach the proposal to a bill (SB 1876) that is a carefully constructed deal that could end years of litigation between hospital systems about approval of trauma centers. But Braynon withdrew a proposed amendment to the bill Thursday, saying the proposal could be included in gun policies the Senate will consider in the coming weeks and that he didn’t want to affect what he called the “tenuous” trauma bill. Negron, R-Stuart, said earlier in the day he supported Braynon’s efforts but didn’t want to include a funding request in a bill that focused on trauma center regulation. The Legislature has wrangled for years over whether to continue with current trauma-system regulations or to allow a more competitive environment that would increase the number of trauma facilities. The legislation moving ahead is a compromise between long-standing trauma providers and the for-profit HCA Healthcare, which has sought in recent years to open trauma centers at many of its hospitals. The House is advancing similar legislation. Senate Appropriations Chairman Rob Bradley, R-Orange Park, thanked Braynon for understanding that the trauma compromise “deals with so many issues that all of us, Republicans and Democrats agree” should occur. The Appropriations Committee voted 17-3 to approve the bill, with opposition from Braynon, Sen. Lauren Book, D-Plantation, and Sen. Anitere Flores, R-Miami. Negron told reporters earlier in the day he met with two Marjory Stoneman Douglas High School students who sustained grievous injuries but had survived because of the quality of the care they received following the shooting. “I am very impressed and gratified by the incredible quality of our trauma units, our surgeons, what they’ve been able to do to save lives, which they’ve done,” Negron said when asked whether he supports Braynon’s request. “Those kinds of heroic efforts should certainly be rewarded because they are extremely expensive but worthwhile,” Negron said. The school attack was the fourth mass shooting in Florida in the past 20 months where trauma centers were activated. Following the June 2016 Pulse nightclub shooting, for example, Orlando Regional Medical Center treated 35 patients at its trauma center. 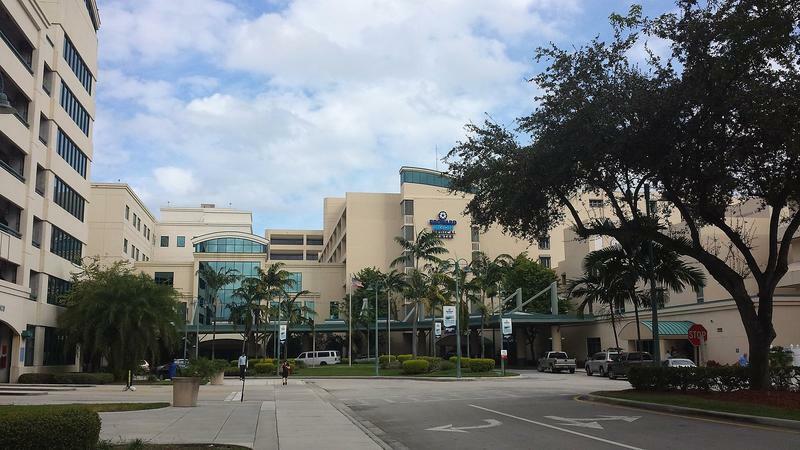 Lee Memorial Hospital activated its mass-casualty trauma team in response to a shooting at Fort Myers’ Club Blu in July 2016, and Broward Medical Center activated its mass-casualty team in response to the January 2017 mass shooting at Fort Lauderdale-Hollywood International Airport. Little more than a week ago, some of the biggest problems students at Marjory Stoneman Douglas High School faced were math tests and the baseball team’s performance. 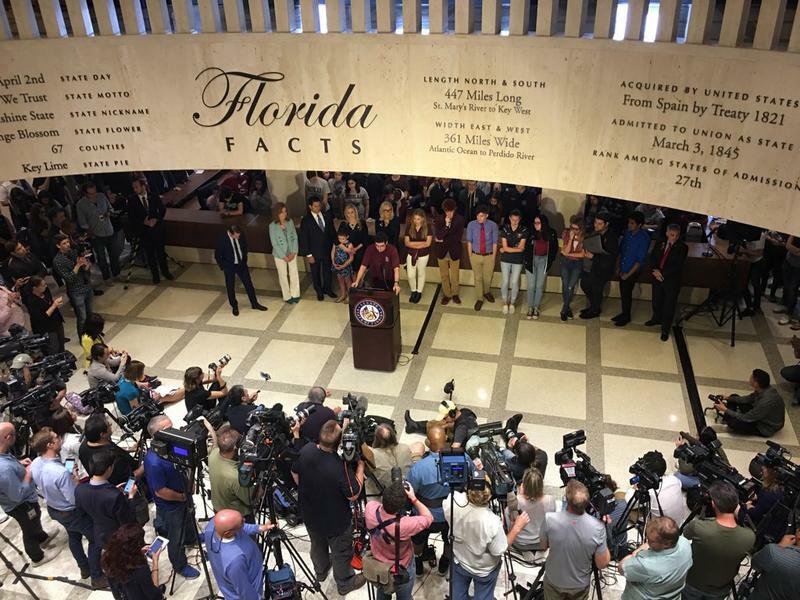 But seven days after a 19-year-old gunman went on a killing spree at the Parkland school, students turned into activists as they cried, pleaded and argued with lawmakers Wednesday in the state Capitol. 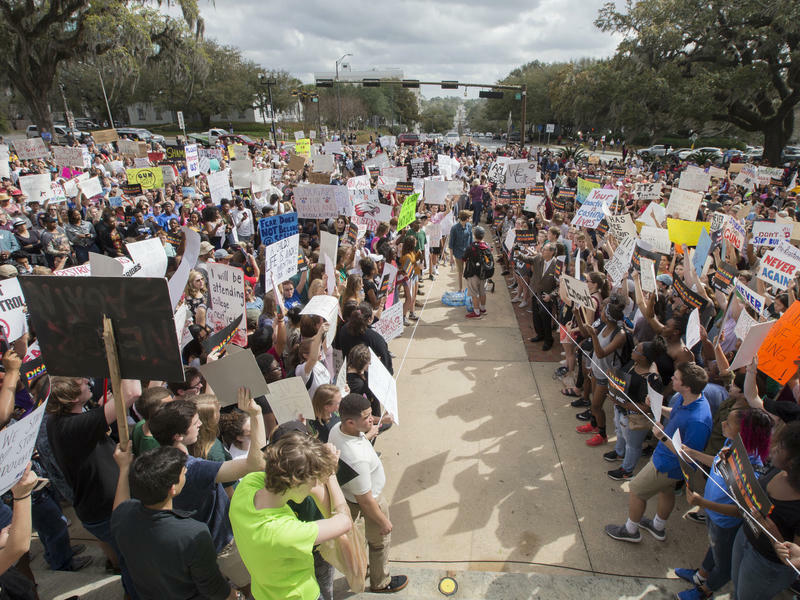 A week after a gunman killed 17 people at a Florida high school, students who survived the attack brought their #NeverAgain protest movement to Tallahassee to demand action on guns and mental health. Thousands of activists marched on the state Capitol to pressure lawmakers Wednesday, even as their peers elsewhere in the U.S. staged protests of their own in solidarity.